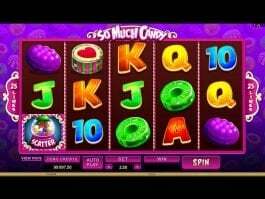 Microgaming launched this free slot game in 2006. The game attained quick acceptance from whisky lovers as the theme matched with their lifestyles. The theme of the game is based on the story of the moonshiner who is a legendary character of American folklore. He used to make homemade whiskey. He lived a hillbilly lifestyle in Appalachian region. In this game, a player has to line up correct symbols to make a winning pattern and accordingly he or she is offered a payout. 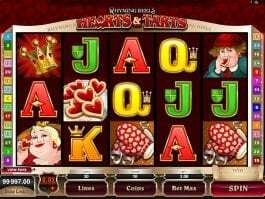 Placing of bet starts with the selection of coin size. After you have decided the coin value, you have to choose the number of paylines. You can raise the number of winning lines by pressing the “select lines” button. Then, press the “spin” button and the reels reveal symbols randomly. The highest price attached in the base game is worth of 8000 coins. 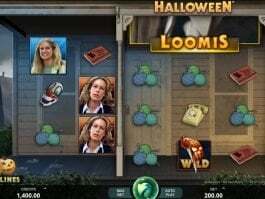 The bonus round begins when player matches three Moonshine Bonus symbols. 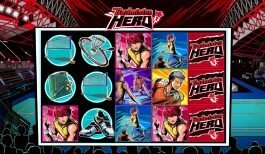 During this session, a player can draw 18 free spins and enhance his or her previous wins by 4 times. 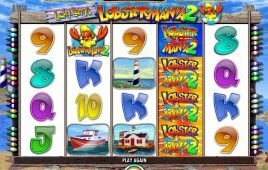 The number of free spins is determined by the number of bonus symbols matched by a gamer. Grandma is the wild symbol and can replace other symbols except scatters. The sheriff and alcohol jar play the role of scatter symbols. The alcohol jar symbol activates bonus game. Other high value symbols are Rastus, Festus and Marilyn. 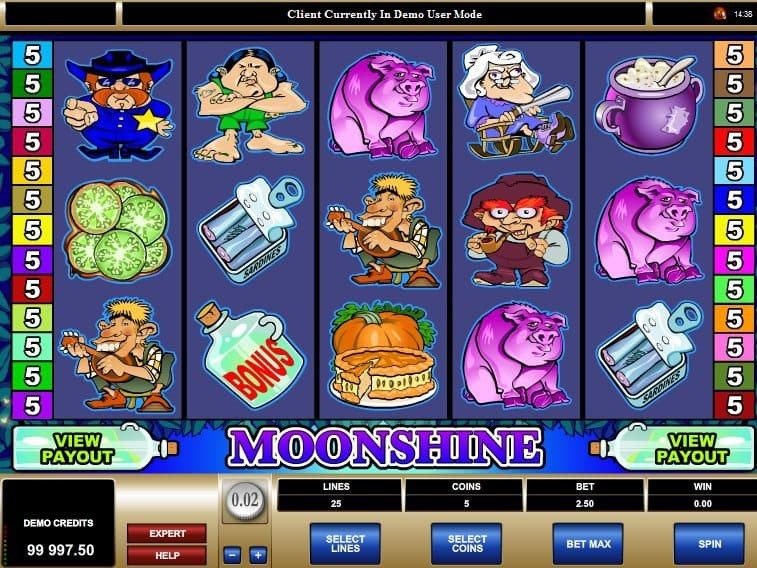 Moonshine offers convenient game play to players with the deployment of autoplay feature. The Autospin mode takes up all bets and spins reels automatically. Players who chase big wins prefer playing in this mode. The minimum coin size that can be chosen for placing a bet is 0.01, while the maximum coin value is 1. 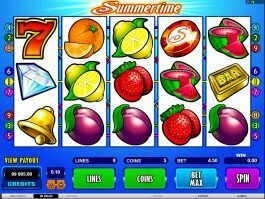 Moonshine free slot game offers free spins that enhance wins of a player. The sound of insects creates true impression of swamp life. Similar games include Pollen Nation and Prime Property slots.